The best connection you’ll make in law school. 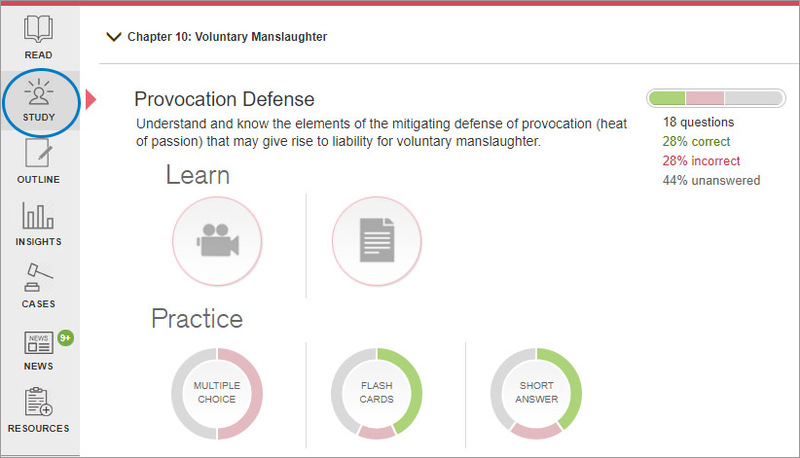 Hailed as the "end-all be-all digital tool for law students" by Forbes.com. 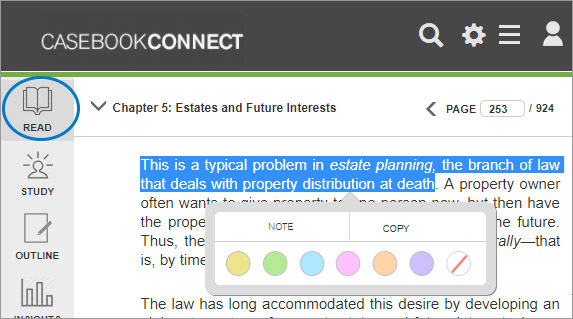 The Connected Casebook is an all-in-one learning solution that combines your print casebook with lifetime access to CasebookConnect.com at no additional cost. 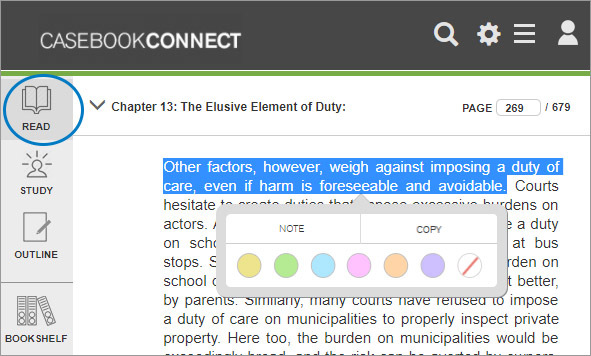 CasebookConnect.com features a full e-book version of your casebook; a Study Center complete with practice questions from leading study aids like the Examples & Explanations and Glannon Guides; outlining and case briefing tools to enhance your learning and save you time; and a topical news feed to connect what you are learning to your everyday lives. 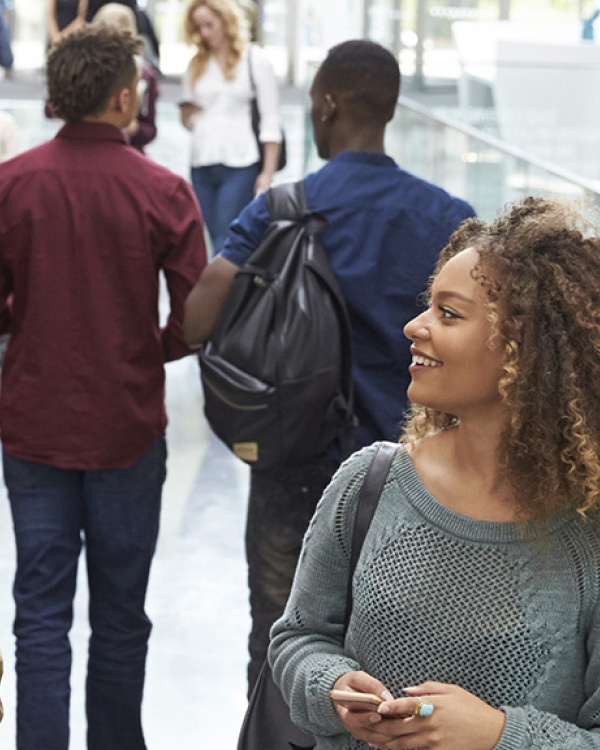 Access to this suite of online content and tools comes free with your purchase of a new book when it is part of the Connected Casebook program. Browse our catalog today! 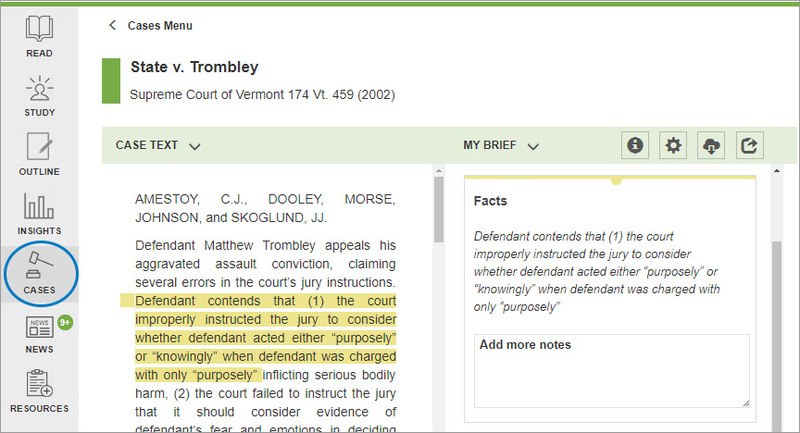 Access your casebook anywhere with an e-book optimized for highlighting, note-taking, briefing cases, and searching. 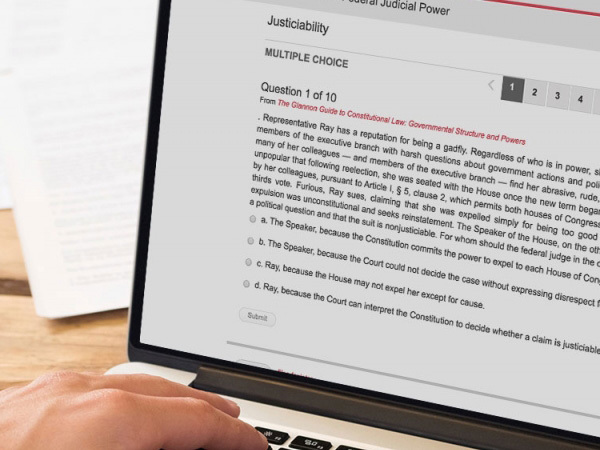 Take your learning to the next level in the study center with multiple-choice, short answer, essay questions, videos, and explanations from top study aids series. 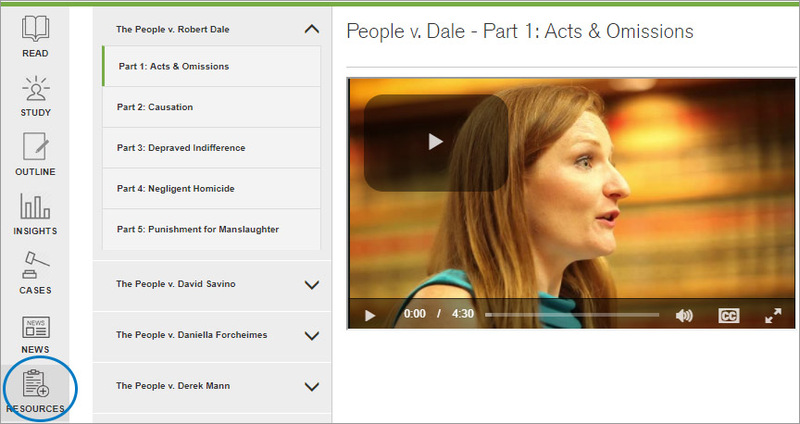 Work more efficiently with tools that leverage the highlights and notes you make in your e-book to start creating your case briefs and course outline. 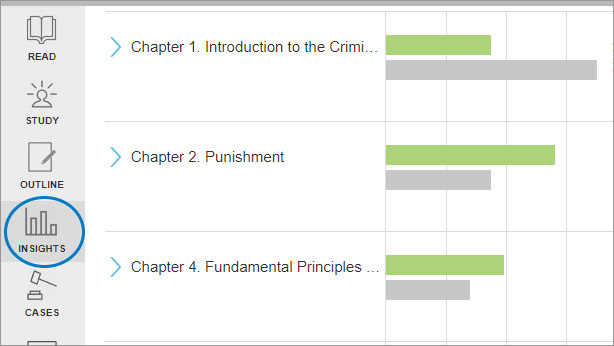 Your favorite study aids in e-book form with search, highlighting, and note-taking tools, plus interactive questions. 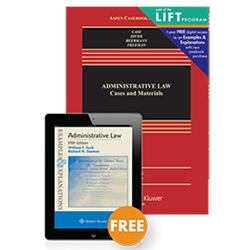 Titles in the LIFT come with free 1-year access to a digital Examples & Explanations with a new casebook purchase. 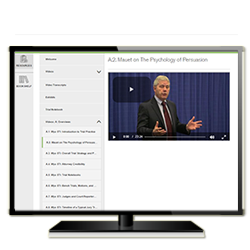 Distinct from Connected Casebooks, these online materials are created by the authors to accompany their textbooks. 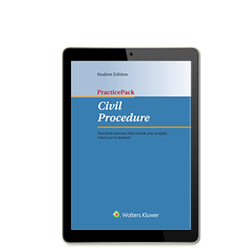 Exercises designed for law students to apply what they are learning in class to the types of problems lawyers face in practice. 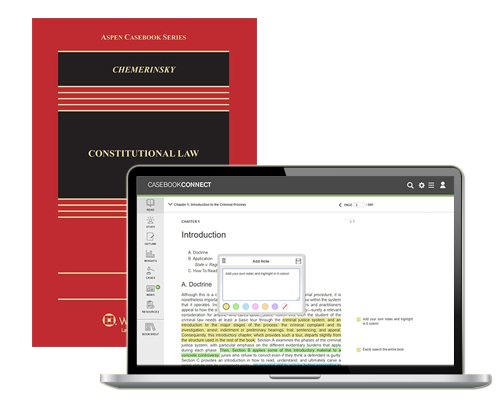 Connected Casebooks and other Wolters Kluwer Legal Education products are sold in your campus bookstore or on major online reseller sites. 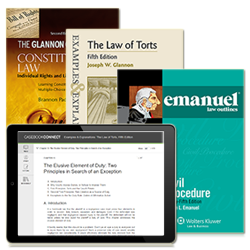 We recommend shopping with our partner www.barristerbooks.com.